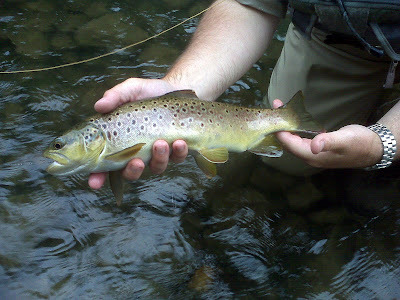 Left early on Wednesday morning to fish the Trico hatch at Spring Creek with Mike, Jeff, and Pat. 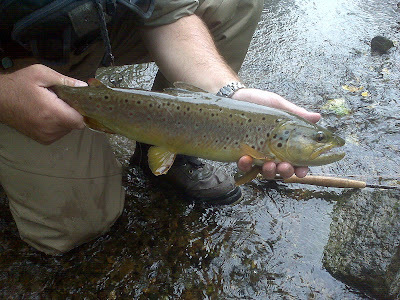 When we had arrived around 7:45 am to the stream, the Tricos were every where in the riffles that were started fishing. 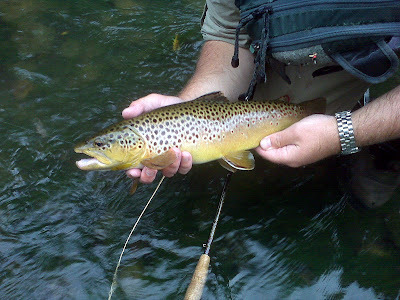 We each landed a few fish prior to the down pour that had lasted all day long. 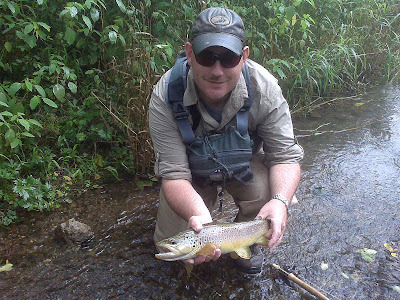 Between Jeff, Pat, and myself, we landed all of the small to average size fish that day. Mike's luck was a bit different that day. He landed the fish in the photos above that I have taken which were the largest of the fish that day. He did very well sight nymphing for these fish on small pheasant tails. All in all, a nice day on the water, just wished it did not rain as much. 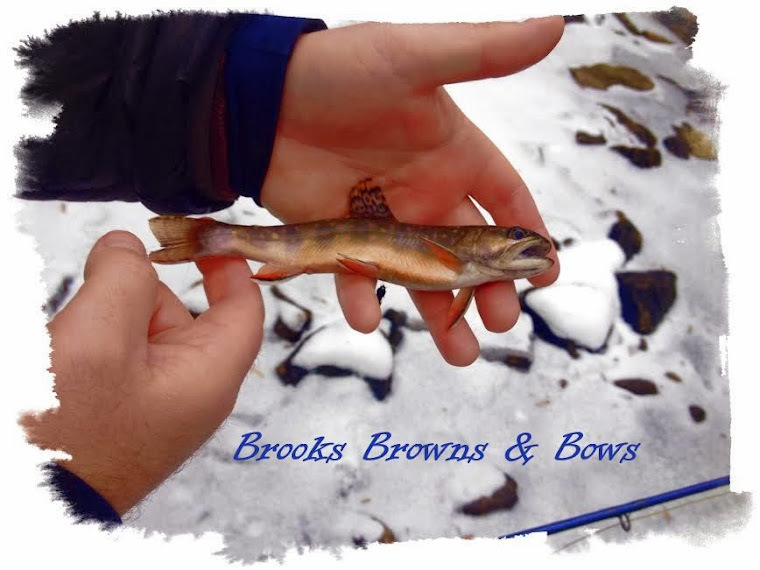 Towards the evening, the BWOs were present on the surface, but they were tiny in size (#22-24).